In September 2015, on the 50th anniversary of President Lyndon Johnson’s signing of the bill that created HUD, Julián Castro, the agency’s 16th secretary, spoke at the University of Texas. In his speech he noted how the agency was formed partially in response to the Watts Rebellion in Los Angeles a month prior, situating the agency’s mission firmly in a social justice context, and he praised President Johnson as someone who believed in the potential for government to be a force for good. 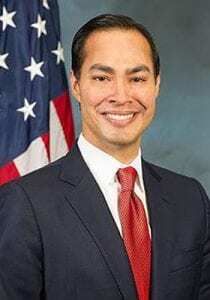 On Sept. 3rd, Shelterforce got a chance to speak with Secretary Castro about some of the current ways in which he’s working to make HUD a force for good in people’s lives, and what steps there are left to be taken. Miriam Axel-Lute: Congratulations on finalizing the Affirmatively Furthering Fair Housing regulations. They were much anticipated. What are the next steps at HUD in terms of implementing the regulations now that they’re out? Julian Castro: We look forward to working with cities across the United States to implement the AFFH over the next few years. These things are on a five-year cycle, [in terms of] when a city usually has to submit its “analysis of impediments”—and now we’re moving to an “assessment of fair housing.” The first cohort is a year, year and a half off. Already, our teams have reached out to those communities, probably the most significant of which is New Orleans. The others I believe are smaller. The next step is to work with those communities so they can do an excellent job with the assessment of fair housing and better understand how they can put policies in place to boost opportunity for people of different backgrounds throughout their community. Axel-Lute: There’s been a lot of conversation in the fair housing community about how fair housing can be furthered within the Housing Choice Vouchers program, including a lot of suggestions about regional fair market rent systems, adjusting portability, making assessments that incentivize fair housing outcomes, and mobility counseling. Are any of these things on the table for the vouchers program? Julian Castro: Yes. We are looking at a number of those, including small area fair market rents. We’re looking at mobility counselors, amping up funding for that. We’re interested in, in terms of the Housing Choice Voucher program, how do we enhance mobility to get families who choose to live in higher opportunity areas into those higher opportunity areas. Axel-Lute: Great. And will the Supreme Court’s disparate impact ruling have any effect on HUD policy? Julian Castro: It creates certainty that we didn’t have before about the use of disparate impact. And so, it gives us an unqualified green light to make use of disparate impact and help stamp out discrimination in the housing market wherever we find it. Harold Simon: Do the AFFH regulations proactively support, either doing away with land use laws at the local level that have a disparate impact or supporting the enactment of policies to reduce it? So, for example, exclusionary zoning, or inclusionary zoning? Julian Castro: We look forward to collaborating with communities around those issues. At the end of the day, we’re not being overly prescriptive. What we’d like to see is communities in different ways addressing issues that are an obstacle to fair housing opportunities for everyone. So, in some places, you may have issues that arise with regard to their zoning practices. It may be different in other communities. We’re approaching it with a spirit of collaboration first, but at the same time we won’t be afraid to use the enforcement authority of the department. Simon: Do you see any promising partnership in place that you can point to that is really doing a good job moving these issues forward? Julian Castro: Yes. There are cities that I believe are trying to tackle some of these issues. For instance, in Austin, Texas, they not too long ago passed a source-of-income discrimination ordinance prohibiting source-of-income discrimination. That’s also been done in a number of states and localities. Of course, in Texas, the Texas legislature just undid or prohibited the ordinance that they passed. However, that’s the kind of ordinance that I like to see because it demonstrates a commitment to helping ensure that Housing Choice Voucher families can get into higher opportunity areas. We would like to help work up, in collaboration with these communities, a model set of those kinds of ordinances that cities could then choose whether they want to pursue or not. Axel-Lute: You mentioned different places have different things going on, different markets. And we want people to have access not only to new areas of opportunity, but we don’t want them to be priced out of places where they live now that are improving. There are a number of places, including New Orleans, as you mentioned, where many people are being priced out of the neighborhoods that they have lived in for a long time. In markets like that, what can HUD do to help people keep their homes? Julian Castro We need to focus on creating as much stock of affordable housing as possible. That’s why, for instance, we’ve joined with Treasury [in the past] in suggesting that we look at enhancing the Low Income Housing Tax Credit by up to 50 percent by allowing states to substitute unused tax credit capacity from other types of tax credits and use that instead for the Low Income Housing Tax Credit so that we can create more affordable housing opportunities out there. That’s one thing. Another thing is traditional investments, like the HOME funds. As you all probably know, the Senate has proposed cutting HOME by 93 percent. We’re going to fight that. We can use our traditional dollars, like CDBG and HOME, as well as creative ways to spur more affordable housing, and then work with communities to adopt ordinances that provide more affordable housing opportunities. Axel-Lute: One of those tools that’s gaining a lot of interest in many parts of the country is permanently affordable housing, such as community land trusts, inclusionary programs with long-term deed restrictions, and other programs that really ensure that the affordability in any unit lasts for a long time, which is a more fiscally responsible use of public money than having to keep putting it in over and over. How can and will HUD support these forms of housing? Julian Castro: That’s a great question. What I like about that model is, of course, that it maintains affordability for a long period of time. We see challenges, for instance, with the sunsetting of some affordability arrangements. We look forward to being supportive of communities that are coming up with creative ways to maintain affordability. Axel-Lute: That’s great. On the homeownership side of permanently affordable housing, there are some regulatory barriers within FHA that have limited the amount [the extent to which] FHA can support mortgages for that kind of housing. Can HUD commit to working on those regulatory barriers since they have such potential for success if they could get access to that financing? Julian Castro: Yes. I’d have to go and chat with the FHA folks. That’s not something that’s come across my radar screen, although there are a lot of things that we are working on [to support homeownership]. We’ve reduced the [FHA] mortgage insurance premium, we’ve been working on this condo rule. We’re taking a number of steps to try and enhance affordability out there, as well as access to credit. Axel-Lute: Is it possible within HUD to lengthen the affordability periods in some of your programs, like HOME? Julian Castro: That’s generally governed by statute. If it’s by reg[ulation], then sure. But, it might also depend on the program. So, we could follow up on that, as well. Simon: Sometimes there’s push back at the local level because if you extend the affordability period, you’re also extending monitoring requirements. And there’s very often not enough money for the stewardship of the properties to make sure they stay viable and affordable over a long or an indefinite period of time. Is there any way to change the formula so that there is some funding for the long-term stewardship of these subsidized properties? Julian Castro: I think it’s something that we’re willing to look at, to consider. Our general approach has been we see a huge affordability issue out there. And to the extent that we have it within our power through adjusting regulations to make a positive difference, then we’re willing to take a look at that. One of the challenges that we have is sometimes these things are statutorily restricted. But that’s something that we’re willing to take a look at inside HUD to figure out can we make a difference. Axel-Lute: You had an interview recently with Melissa Harris-Perry around the Katrina anniversary and noted very carefully the balance that we need to make between place-based reinvestment and supporting people who want to stay in neighborhoods, as well as giving people the opportunity to move. But at the beginning you noted that only 9 percent of the households the housing authority serves live in the new mixed-income developments that replaced now-demolished public housing, while many families who received vouchers have been re-segregated into “pockets of poverty” on the edge of the city. What went wrong? Julian Castro: Not everybody who was living there before now is living there again, right? As you all know, throughout the history of public housing and as it’s gotten redone, this is not an uncommon issue that folks have had to deal with. Number one, my understanding is that the there was an outreach effort, and folks who wanted to be able to move back have been able to move back, and that, for different reasons, some families have chosen not to do that. I did ask that question. More folks are also accepting Housing Choice vouchers. The number of folks that we’re serving with Housing Choice vouchers has increased significantly in New Orleans I think for different reasons. But I do get the point that whenever we do a RAD project or Choice [Neighborhoods], or make a significant investment in housing, the goal ought to be to give folks a chance to live there who were living there before the renovation or the development of entirely new units. That is an idea that we should embrace. And at least during my tenure here, it is one that we will embrace. And so, whether it’s in New Orleans or somewhere else, that’s something that we keep in mind when folks are making RAD proposals or other housing proposals on the table. Axel-Lute: There was an extensive outreach in a number of those redevelopments, but often there have been very stringent guidelines for who can come back that screened out a lot of people, such as people who have felony convictions, and that has limited the people who are considered to come back. But those people need somewhere to live. Do you have a perspective on those kind of screening measures and how they should or shouldn’t be employed? Julian Castro: I believe that HUD has a role to play in the larger conversation about criminal justice reform and ensuring that folks have effective and fair second chances in life. That is an issue that we will be looking at, that we have been looking at, and that we will continue to evaluate and act on at some point in the not-too-distant future. Because just as Congress is having this same conversation in a broader sense about criminal justice reform, we need to have that in the housing context. Did we go overboard in the 1990s with some of the policies? I’m not saying the answer is yes or no right now, but it is definitely worth a reevaluation. Simon: Is there an opportunity to, or are you already working with the Justice Department to look at the other ways you could intersect? Julian Castro: We are working with the Department of Justice on a number of these issues. For instance, we just did a Notice of Funding Availability, regarding the expunction of records for young people who lived in public housing, assisting them under state law, if they’re eligible for an expunction, to be able to do that to get one, looking at some issues related to people getting blocked from housing because of an arrest record versus actually getting convicted. So we are working together, and I’m confident that we’re going to continue to do that in a fruitful way to reasonably provide opportunity for folks. I think folks would agree that we have to strike the right balance, because I certainly understand the value of the restrictions that have been put in place and the goal of keeping our housing communities safe. We always have to keep that goal in mind. At the same time, the question is, is there a way that we can effectively achieve that and still afford more opportunity for people to get back on their feet and not confine them to a life of scrapping and inability to ever get on the right track because of overly burdensome regulations. Axel-Lute: Makes sense. On the subject of collaboration with other agencies, we were excited to see that the National Alliance of Community Economic Development Associations, which is a group representing state community development networks, got its first federal grant, and it got it from the NEA (National Endowment for the Arts) through the Our Towns program. Can you talk a little bit about how art and culture further the work of community development and of HUD, and how you might be working with NEA and other agencies? Julian Castro: Yes. I’m excited about breaking down the silos and having HUD work with the Department of Education, the NEA, Transportation, other departments. We want to play our part in lifting up the economic prospects and the quality of life prospects of residents. The arts are a great way to enhance educational achievement for young people, especially. Our Strong Cities, Strong Communities effort includes a partnership with the NEA, and so they’re doing good work out there, and will continue to do that. Simon: Are there any places that you feel are doing exceedingly well, or have a lot of potential? Julian Castro: Yes. One of the things I was amazed with in Philadelphia when I toured their Choice Neighborhood development and Promise Zone was the number of murals that they have out there, and they get the community engaged in doing these murals. Mayor Nutter informed me that they have more murals per capita than anywhere else in the United States. A lot of them get young people involved in being creative and reflecting their own experiences and culture. And that’s exactly the kind of integration of art with the built environment and neighborhood dynamic that I love to see. Axel-Lute: There was a big inter-agency effort that HUD was involved in early on in the Obama administration working with the Department of Transportation and the EPA (Environmental Protection Agency). How are those efforts going? Have they continued? Have they created ongoing working partnerships? Julian Castro: They’ve gone very well. There were dozens of communities that formed a sustainability plan, under the Sustainable Communities Initiative, which is a partnership between HUD, the EPA, and the Department of Transportation. And they are at different points of actually implementing those. I spoke to a gathering of these communities about 9 or 10 months ago at the Department of Transportation, and it’s done two things very well. First, at a local level, Sustainable Communities and the Promise Zones effort and a couple of others have encouraged those communities to break past the silos and understand that it’s not just about improving housing or creating jobs, or improving transportation options. It’s all of those things. That’s the first thing. So, there’s been an institutionalization of silo-breaking. The second part is that these plans that have been put together have laid a strong foundation for smart revitalization of urban communities that is holistic. And I think that over the next few years, we’re going to see that that Sustainable Communities Initiative and Promise Zones produce real, tangible benefits in education, in terms of the environmental quality and access to transit and economic development. Axel-Lute: A writer in Slate, Maya Dukmasova, recently argued that when we use the term “concentrated poverty” instead of “segregation,” we harm the cause that we’re working for, because, even though this is unintentional, it implies that the problem with areas of concentrated poverty is the people living in them, the fact of them being there as opposed to the policies that have isolated and caused the disadvantage. How can HUD programs and policies be both crafted and described in such a way as to make sure we’re not blaming the victims? Julian Castro: I take the point. I agree that oftentimes the concentration of essentially minorities in lower-income areas is a by-product, a result, of discriminatory policies and practices in the past, and sometimes even now. And I guess I would say that we do have to be sensitive to the light that it casts on those communities. At the same time, there is in fact an issue there with the concentration of low-income individuals, whether those individuals are all of one background, or in a lot of places you have African-American and Hispanic [residents], and even in some places Asian-American and white. It’s a very touchy subject, but the way that we have to address it is to just do it head on and say, number one, for families who want a choice in terms of being able to move to other areas, that we ought to be able to put the resources in place and eliminate discrimination in the housing market so that they can do that. But secondly, my point on the Melissa Harris-Perry show was that we can’t forget about those neighborhoods. So I agree with folks who say that, just because these neighborhoods are distressed and they’re minority neighborhoods, that [doesn’t mean] we shouldn’t invest in them. We should invest in them. We shouldn’t forget about them. They do have value. And so we can’t just have a policy of trying to get people out. There are a lot of people who don’t want to move, and we have to improve their neighborhood, too. Simon: It’s such a challenge, balancing those two things with a funding pie that is constantly attacked. I mean, reducing HOME by 93 percent isn’t a cut. It’s a bloodbath. Julian Castro: I agree. What we see out here is a real disconnect between the Congress and Washington and what’s happening out there in communities all over the United States. There is a crisis in terms of affordability happening. And yet the governing majority in Congress doesn’t get it. And my hope is that they’ll take the time to understand what’s happening in their own communities and understand the resources that are necessary to address this challenge. Clear, informative, and provocative. A fine contribution to the national conversation about fair housing, addressing BOTH the removal of discriminatory barriers AND the expansion of housing options with lasting affordability. An outstanding interview requires excellent questions, as well as excellent answers. Kudos to Miriam and Harold – and, of course, to Mr. Castro. There is a housing issue in our city (DeKalb, Illinois) which has caused a great deal of concern for many people in our community. I am involved in trying to make sure our local officials do the right thing…it is an ongoing battle. For now the area that needs attention is this housing issue. From my research I have come to the conclusion that HUD is to blame for much of the problem. Attempting to communicate with the regional HUD in Chicago has been most difficult because as soon as I started asking specific questions, I was told to invoke FOIA. How can I connect with a high level official of HUD who can actually get through to Sec. Castro? From what I read in this interview, this man speaks the right speak, but I don’t see how this translated into action. I would be happy to send information if there is even a remote chance that I might be able to connect with HUD in a meaningful way. I didn’t see the information address the homelessness and discrimination of inmates being denied housing. What does HUD have to do with that or any other agency. Who’s addressing this issue. “There was an extensive outreach in a number of those redevelopments, but often there have been very stringent guidelines for who can come back that screened out a lot of people, such as people who have felony convictions, and that has limited the people who are considered to come back. But those people need somewhere to live. Do you have a perspective on those kind of screening measures and how they should or shouldn’t be employed? JuliÃ¡n Castro: I believe that HUD has a role to play in the larger conversation about criminal justice reform and ensuring that folks have effective and fair second chances in life. That is an issue that we will be looking at, that we have been looking at, and that we will continue to evaluate and act on at some point in the not-too-distant future. Because just as Congress is having this same conversation in a broader sense about criminal justice reform, we need to have that in the housing context. Did we go overboard in the 1990s with some of the policies? I’m not saying the answer is yes or no right now, but it is definitely worth a reevaluation. Harold Simon: Is there an opportunity to, or are you already working with the Justice Department to look at the other ways you could intersect? Bessie, I have passed your concerns on.